Drum roll. Because I’m so excited to reveal one of my biggest apartment projects yet: MY MASTER CLOSET. 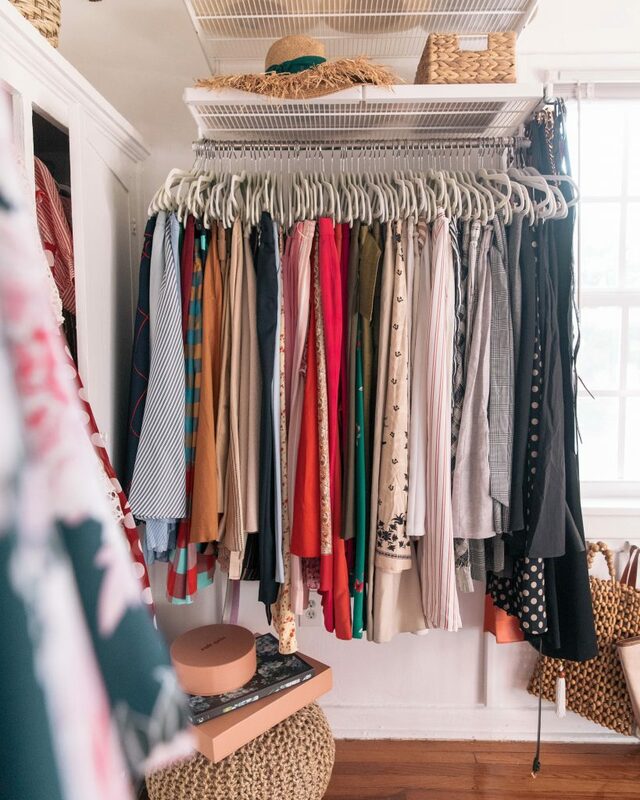 Since moving into this new space I knew immediately that I wanted to transform my spare bedroom into one large walk-in closet (#priorities)…and guys, it needed to happen and it’s been nothing but a dream come true. I’m just happy I can finally share it with you! First off, life’s consistently on the go, things build up and sometimes it can get a little confusing and cluttered (guilty!). I totally experienced that on the verge of my move. 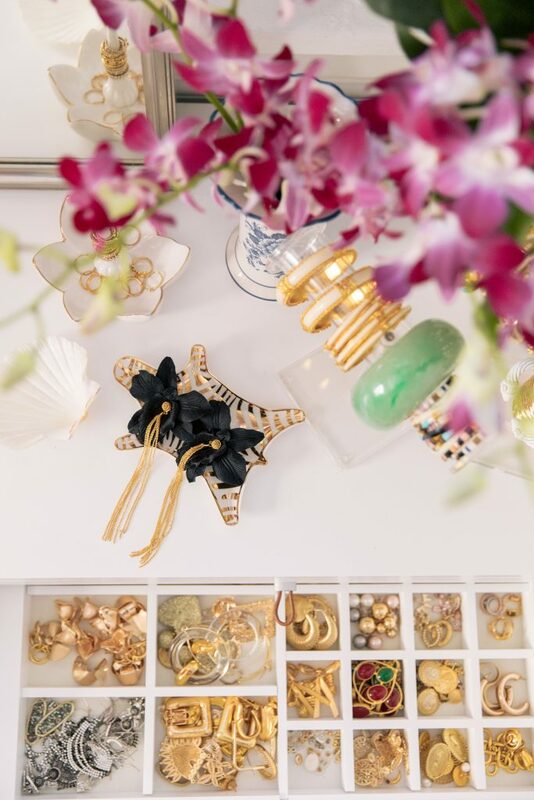 Plus, between the my travels, Miami and the holiday season – I just didn’t have the time to organize. Which brings me to being so thankful that I found professional organizer, Korinne when I did aka founder of Urban Simplicity. She assessed my amount of clothing (it’s a lot by default) then created a system and closet build based on our conversation. She worked with The Container Store team to build out this master plan and voila! It was installed pretty quickly. Then, Korinne did her magic and organized everything while I was away over the holidays. I mean everything to a T! The clutter is gone, space is so organized – it’s total freedom. 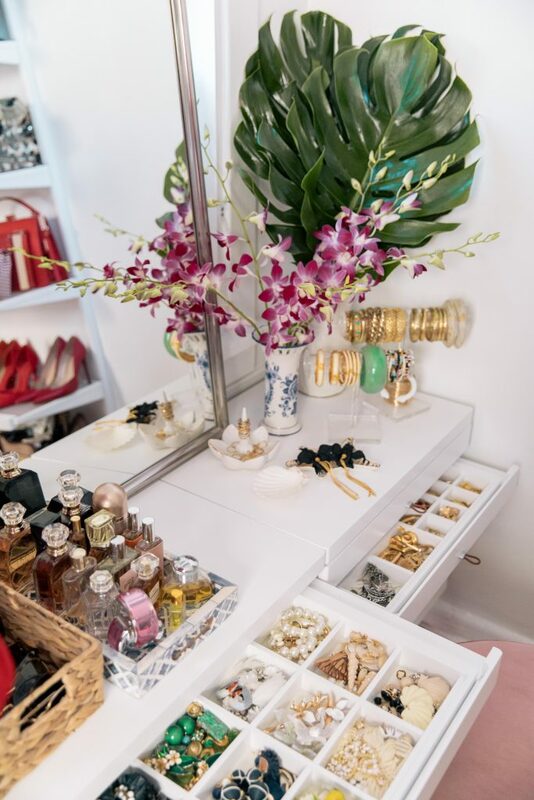 Instead of digging through old bins, squeezing into a tight space (because of all my clothes were squished together in a tiny studio apartment) and searching for that missing pair of earrings, I can now walk in and pick each item out with ease knowing exactly where each type of clothing, jewelry and bag lives…*sigh of relief and joy. Organization really is the key to success and happiness, for me at least (and Marie Kondo). I love seeing my jewelry on display! Stay tuned as I work on the rest of my new apartment – there are so many moving parts left but I’m excited, having fun with it and inspired to organize, thanks to Korinne at Urban Simplicity! I’m calling this Phase 1 of #ApartmentMakeover. More on the way this year! P.S. I couldn’t link all items featured in my closet because that would take forever, but I did manage to find a few pieces that I love! Why show your closet and not link? It’s the whole point of sharing!! Hi there! Thanks for commenting. 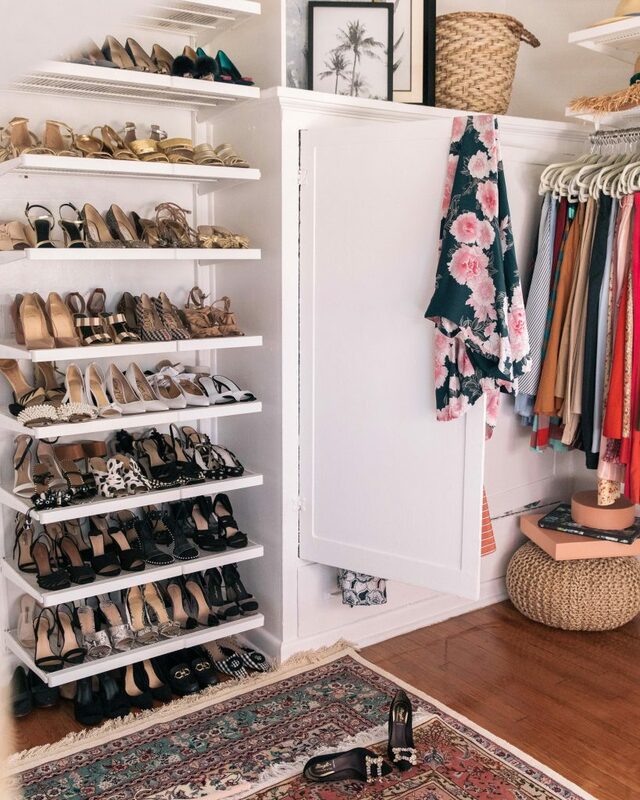 Unfortunately it’s very difficult to link an entire custom closet system, which is why I provided a few of my favorite products at the bottom of the page as well as call out in the blog post that everything was from The Container Store! Hope that helps! 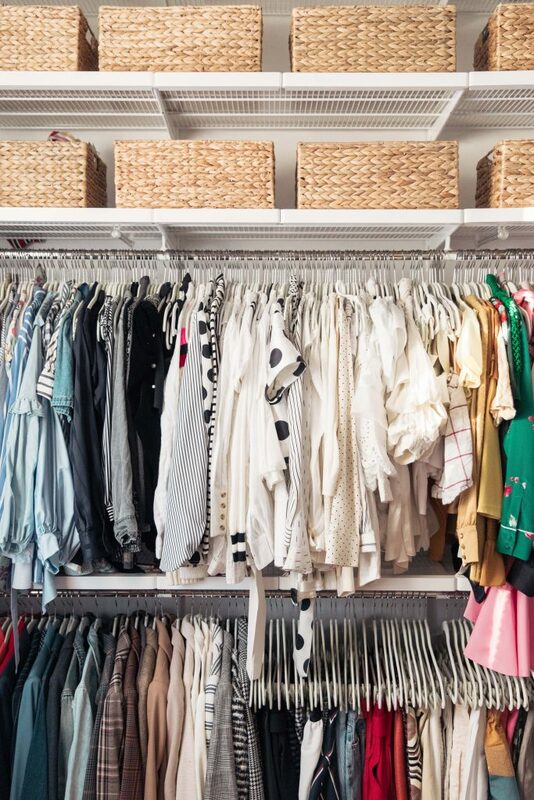 So jealous of your closet! It looks gorgeous. 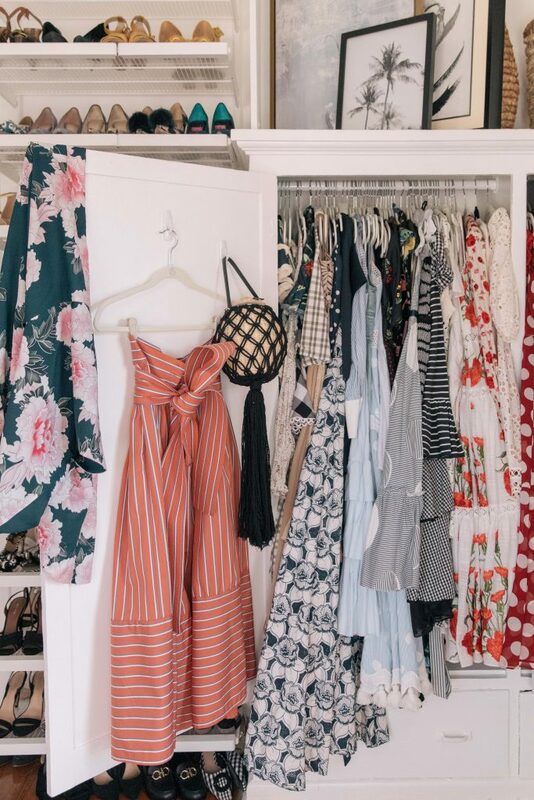 I’m currently trying to reorganize my closet too and yours is definitely inspiration. Hey Stephanie, love this blog!!! Please could you tell the dresser is from, where you store your jewellery? wow beautiful closet! loved seeing all your shoes and accessories!